Magnesium is a mineral you know is important for your health. Abundant throughout the body with countless benefits, everybody wants to increase their magnesium. But enhancing your magnesium levels may be more complex than you think, and how do you know if you are getting enough? Stress increases our need for the essential nutrient as a body under stress uses more magnesium. Increasing magnesium levels has a positive influence on our stress hormones, helps to regulate sleep and enables us to deal with stressors better so that our magnesium store stays high. Magnesium is involved in nitric oxide synthesis which dilates blood vessels and influences muscular pain, cramps and weaknesses. If you suffer from migraines, arthritis, or premenstrual syndrome, you may need to increase your magnesium. Magnesium aids relaxation and blood flow, and can be absorbed through the skin for localised areas of pain, applied directly as a cream, or soaked through the skin during a bath with added Epsom salts. 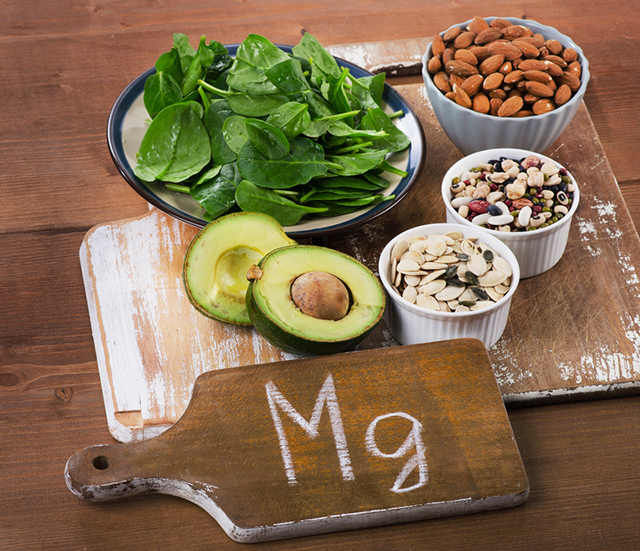 Irritability, unstable moods and anxiety are all signs of magnesium deficiency. Not only is magnesium needed for energy production, it has a calming effect on our nervous system. Caffeine and alcohol are often reached for in times of irritability. Although it may seem like a good idea at the time, both caffeine and alcohol can inhibit magnesium absorption and cause increased magnesium excretion, causing further mood fluctuations. Are there different types of magnesium? There are many different types of magnesium and some are absorbed better than others. If you are taking a magnesium supplement, it is important to know the form you are consuming. Magnesium chelate, aspartate and citrate have excellent absorption, however magnesium oxide does not. Magnesium oxide does not increase your magnesium levels, it draws water into the bowel often producing a laxative effect. Magnesium citrate has excellent absorption as it does not need a great deal of stomach acid to be absorbed, meaning greater magnesium levels regardless of the health of your digestive tract. Magnesium cannot be made in the body, however it is abundant in the food we eat; if we are eating the right food. Poor consumption of dark leafy greens, nuts and seeds and the overconsumption of grains can cause a magnesium deficiency. Dark green leafy vegetables such as spinach, kale and silver beet are high in magnesium, however quality sources are rarely consumed. New Zealand soil should be full of nutrients, however often they have been stripped away. You can’t consume magnesium if it doesn’t exist in your food, so ensure that you are buying your vegetables from a reliable source for more health benefits in every bite. 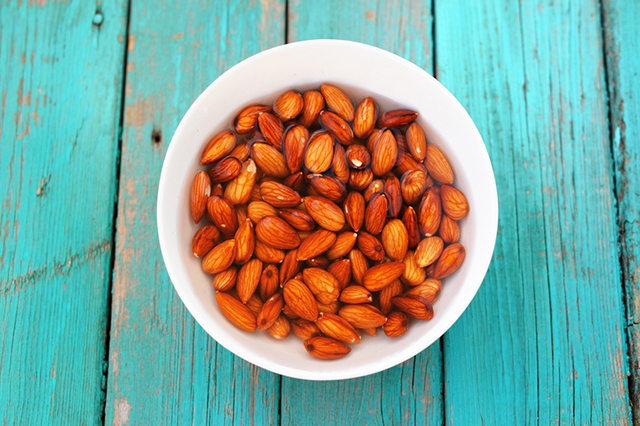 Nuts and seeds are not only full of healthy fats, fibre and antioxidants, they are a great source of magnesium too. Almonds, cashews, pumpkin seeds and brazil nuts are all high in magnesium, however they are also high in phytic acid, which reduces magnesium absorption. Soaking nuts and seeds before eating them helps to break down phytic acids, unlocking magnesium and many other nutrients for optimal digestion. Processed and refined grains have had the outer grain stripped away, removing up to 90% of the magnesium. Make sure you are consuming wholegrains so that you are filling up in nutrient rich quality food. Recommended dietary intakes of magnesium changes through different stages of life and rates of growth. Regardless of age, New Zealanders are not getting enough magnesium. Although it is common to have low levels, it is important to know that you can have too much of a good thing. Make sure you know how much magnesium your body needs each day, how much magnesium you eat, and what you are getting from a supplement. The kidneys flush out additional magnesium from the body which can bring on cramps and nausea. If you are experiencing feelings of malaise, confusion, increased thirst or muscle weakness, you may want to reduce your magnesium intake. Magnesium is an essential nutrient that is abundant in our body and the food that we eat. Ensure you and your family are getting enough magnesium to support your health, wellbeing and development through all stages of life.